The RE/MAX Veterans First Program Mission is simple. Leverage the proven results of the best and most productive RE/MAX agents in the industry to provide our active, reserve, retired and prior military the largest, most comprehensive veteran home buying/selling real estate agent network and beneifits program available—anywhere! 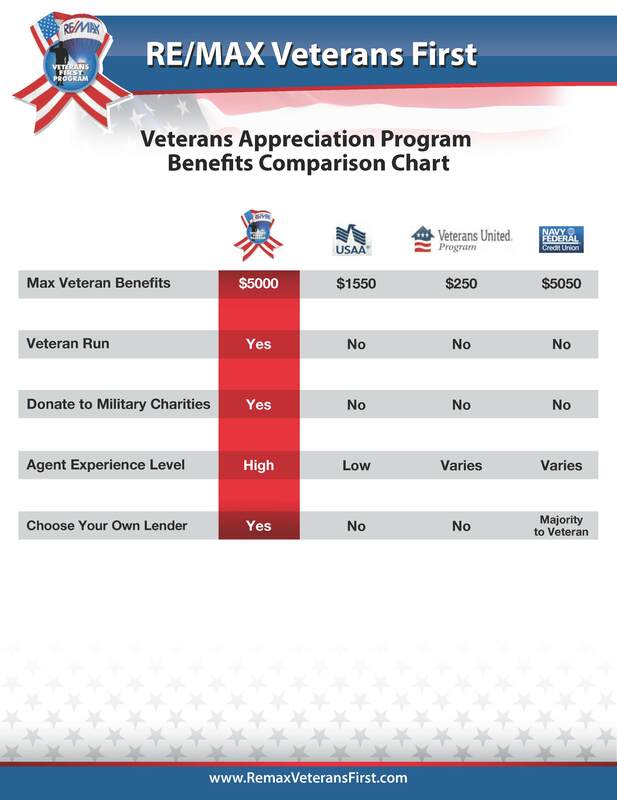 benefits, Only from RE/MAX agents, giving to military charities and owned and run by veterans. Sellers provide membership benefits up to $5000!! Call for details.